Guest Commentary by John K. Nia, M.D. 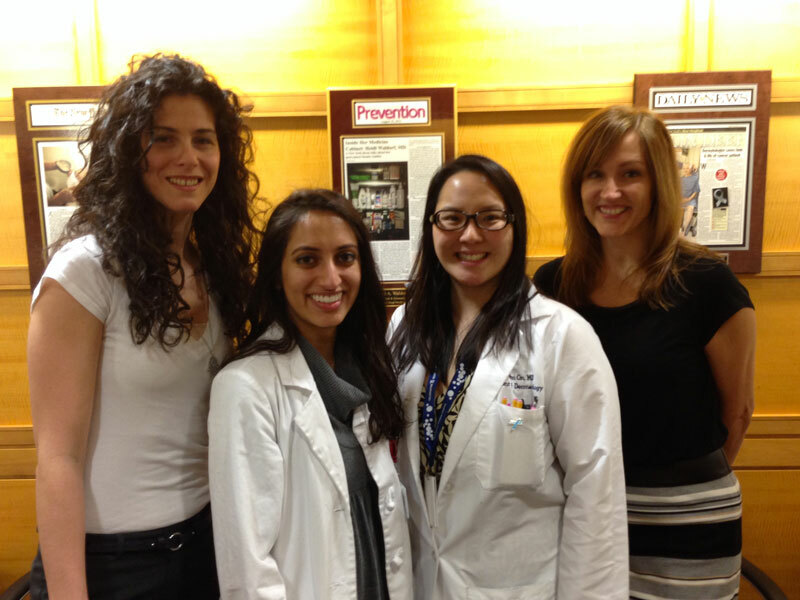 Here at Mount Sinai School of Medicine, it is an exciting time for treatment in alopecia areata. Currently we have three trials going on: an injectable, a topical and an oral. This is an injectable medication. This drug is a monoclonal antibody, which means it is a targeted therapy against a very specific part of your immune system. In this case, tralokinumab targets something called interleukin 13. Interleukin 13 has been implicated in eczema and alopecia areata. Earlier studies conducted at Mount Sinai showed tralokinumab to be effective for eczema. Biopsies taken from patients with alopecia areata showed an over expression of interleukin 13, which prompted the clinical trial. This trial is ideal for patients with both alopecia areata and eczema. About this study: It is 40 weeks long and visits occur every two weeks. At each visit the patient will receive two injections. The study includes biopsies from affected and unaffected skin on the scalp. Of note, not everyone will get the study drug. There is a 66% chance of receiving the drug and a 33% chance of receiving placebo. Who qualifies for this study: you need at least 30% involvement of your scalp. The second trial we are actively enrolling for is a topical medication. It is a topical version of two medications known as JAK inhibitors. This trial is especially exciting because clinical trials at Columbia and Yale have shown the oral JAK inhibitors are effective in patients with alopecia areata. These oral JAK inhibitors are FDA approved to treat rheumatoid arthritis and certain blood cancers. Their side effects include a decrease in blood counts. Although there is always a risk of systemic absorption from topical medications, the risk is thought to be much less than the oral version, which is why we are trying this new topical drug. About this study: this study is 12 weeks long. The patient visits occur every month, except the first month where the patient comes in every other week. This study involves biopsies of affected and unaffected skin on the scalp. 66% of patients will receive the drug and 33% will receive placebo. The topical medication is applied twice a day, twelve hours apart. After applying medication, it is important not to come in contact with anyone or pets for at least 15 minutes, and not to sweat for 6 hours. The third trial is for a medication that is already FDA approved for psoriasis. It is called apremilast or Otezla. This is an oral medication that works differently from the others by not blocking any part of the immune system. Most common side effects include diarrhea. About this study: this study is one year long and visits occur every four weeks. There is a 66% chance of receiving drug and a 33% chance of receiving placebo. However, at 6 months all patients will receive the drug. The medication is taken orally, twice daily. This study involves biopsies of affected and non-affected skin. Information in this guest commentary is up to date as of publication. Contact the doctors below for more information on the clinical trials at Mount Sinai for alopecia areata treatment. Are you interested in clinical trials or have an experience to share? Use the space below for GENERAL COMMENTS. To contact the research team directly to find out how to be in a clinical trial, call the phone number above Monday through Friday.